Aircraft Avionics Systems and Avionics Classes - DO-254 - KVA Engineering, Inc.
DO-254 was originally intended for complex electronic components within a larger hardware design. However OEMs have recently required the application of DO-254 to an LRU level unit. This course provides the fundamentals of developing and assessing electronic components and hardware designs to the standard RTCA/DO-254, Design Assurance Guidance for Airborne Electronic Hardware. 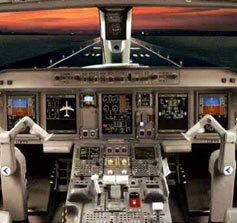 It is designed for Project Managers, Systems engineers, Hardware engineers, avionics engineers, systems integrators, aircraft designers, and others involved in development or implementation of complex electronic hardware (e.g., Application Specific Integrated Circuits, Field-Programmable Gate Arrays, etc.) and aircraft system level LRU's containing these devices. The course also provides insight into the FAA's review process and guidance and provides practical keys for successful development and certification. Practical exercises and in-class activities will be used to enhance the learning process. 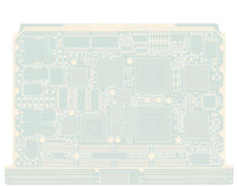 It is designed for Project Managers, Systems engineers, Hardware engineers, avionics engineers, systems integrators, aircraft designers, and others involved in development or implementation of complex electronic hardware (e.g., Application Specific Integrated Circuits, Field-Programmable Gate Arrays, etc.) and aircraft system level LRU's containing these devices.